Dr. R.C. Sproul on Why Study the Bible? Why study the Bible? It may seem odd and foolish to raise this question since you probably would not be reading this book unless you were already convinced that Bible study is necessary. Our best intentions, however, are often weakened by our moods and caprice. Bible study often falls by the way. So, before we examine the practical guidelines for Bible study, let’s review some of the compelling reasons for studying the Bible at all. First, we will look at some of the reasons people give for not studying the Bible. These “reasons” often contain myths that are passed off as truisms through much repetition. The myth that claims first place in our hall of excuses is the idea that the Bible is too difficult for the ordinary person to understand. Myth 1—The Bible is so difficult to understand that only highly skilled theologians with technical training can deal with the Scriptures. This myth has been repeated many times by sincere people: “I know I can’t study the Bible, because every time I try to read it, I can’t understand it.” When some people say this, they may want to hear, “That’s all right. I understand. It’s really a difficult book, and unless you’ve had seminary training, maybe you shouldn’t try to tackle it.” Or perhaps they want to hear, “I know, it’s too heavy, too deep, too profound. I commend you for your tireless efforts, your strenuous labors in trying to solve the mystifying riddle of God’s Word. It is sad that God has chosen to speak to us in such obscure and esoteric language that only scholars can grasp it.” This, I am afraid, is what many of us want to hear. We feel guilty and want to quiet our consciences for neglecting our duty as Christians. When we express this myth, we do it with astonishing ease. The myth is so often repeated that we do not expect it to be challenged. Yet we know that as mature, educated adults we can understand the basic message of the Bible. Indeed, the scholars who drafted and signed the Chicago Statement on Biblical Hermeneutics (1982) affirm “that a person is not dependent for understanding of Scripture on the expertise of biblical scholars.” If we can read the newspaper or blogs, we can read the Bible. In fact, I would venture to guess that more difficult words and concepts are expressed on the front page of a newspaper than on most pages of the Bible. Myth 2—The Bible is boring. If we press people for an explanation for what they mean when they express the first myth, usually they respond by saying, “Well, I guess I can understand it, but frankly the book bores me to death.” This statement reflects not so much an inability to understand what is read as a taste and preference for what we find interesting and exciting. The preponderance of boredom that people experience with the Bible came home to me when I was hired to teach the Scriptures in required Bible courses at a Christian college. The president of the institution phoned me and said, “We need someone young and exciting, someone with a dynamic method who will be able to ‘make the Bible come alive.’ ” While I knew what the president was getting at, I nevertheless wanted to say, “You want me to make the Bible come alive? I didn’t know that it had died. In fact, I never even heard that it was ill. Who was the attending physician at the Bible’s demise?” No, I can’t make the Bible come alive for anyone. The Bible is already alive. It makes me come alive. When people say the Bible is dull, it makes me wonder why. Biblical characters are full of life. There is a unique quality of passion about them. Their lives reveal drama, pathos, lust, crime, devotion and every conceivable aspect of human existence. There is rebuke, remorse, contrition, consolation, practical wisdom, philosophical reflection and, most of all, truth. Perhaps the dullness some experience is due to the antiquity and cultural distance of the material. How does the life of Abraham or of Timothy—lived so long ago and so far away—relate to us? But the characters of biblical history are real. Though their life settings are different from ours, their struggles and concerns are very much like ours. In the sixteenth century the Reformers declared their total confidence in what they called the perspicuity of Scripture. What they meant by that technical term was the clarity of Scripture. They maintained that the Bible is basically clear and lucid. It is simple enough for any literate person to understand its basic message. This is not to say that all parts of the Bible are equally clear or that there are no difficult passages or sections to be found in it. Laypeople unskilled in the ancient languages and the fine points of exegesis may have difficulty with parts of Scripture, but the essential content is clear enough to be understood easily. Martin Luther, for example, was convinced that what was obscure and difficult in one part of Scripture was stated more clearly and simply in other parts of Scripture. Some parts of the Bible are so clear and simple that they are offensive to those suffering from intellectual arrogance. I once was lecturing about how Christ’s death on the cross fulfilled the curse motif of the Old Testament. In the middle of my lecture a man in the audience interrupted me, saying loudly, “That’s primitive and obscene.” I asked him to repeat his comment so that everyone present could hear his complaint. When he repeated it, I said, “You are exactly right. I particularly like your choice of words, primitive and obscene.” The entire history of redemption is communicated in primitive terms, from the episode of the encounter of Adam and Eve with the serpent to the devastating destruction that God visits on the chariots of Egypt in the exodus to the crass and brutal murder of Jesus of Nazareth. The Bible reveals that God hears the groans of all of his people, from the peasant to the philosopher, from the dull-witted to the sophisticated scholar. His message is simple enough for the most simplistic of his fallen creatures to understand. What kind of a God would reveal his love and redemption in terms so technical and concepts so profound that only an elite corps of professional scholars could understand them? God does speak in primitive terms because he is addressing himself to primitives. At the same time, there is enough profundity contained in Scripture to keep the most astute and erudite scholars busily engaged in their theological inquiries for a lifetime. If primitive is an appropriate word to describe the content of Scripture, obscene is even more so. All of the obscenities of sin are recorded with clear and forthright language in the Scripture. And what is more obscene than the cross? Here we have obscenity on a cosmic scale. On the cross Christ takes upon himself human obscenities in order to redeem them. If you have been one of those who have clung to the myths of dullness or difficulty, perhaps it is because you have attributed to the whole of Scripture what you have found in some of its parts. Maybe some passages have been peculiarly difficult and obscure. Other passages may have left you bewildered and baffled. Perhaps those should be left for the scholars to unravel. If you find certain portions of the Scripture difficult and complex, need you insist that the whole of Scripture is boring and dull? Biblical Christianity is not an esoteric religion. Its content is not concealed in vague symbols that require some sort of special “insight” to grasp. There is no special intellectual prowess or spiritual gift that is necessary to under stand the basic message of Scripture. You may find that in Eastern religions where insight is limited to some guru who lives in a shanty high in the Himalayas. Maybe the guru has been thunderstruck by the gods with some profound mystery of the universe. You travel to inquire and he tells you in a hushed whisper that the meaning of life is the sound of “one hand clapping.” That’s esoteric. That’s so esoteric that even the guru does not understand it. He cannot understand it because it’s an absurdity. Absurdities often sound profound because they are incapable of being understood. When we hear things we do not understand, sometimes we think they are simply too deep or weighty for us to grasp when in fact they are merely unintelligible statements like “one hand clapping.” The Bible does not talk like that. The Bible speaks of God in meaningful patterns of speech. Some of those patterns may be more difficult than others, but they are not meant to be nonsense statements that only a guru can fathom. It is important to note that the theme of this book is not how to read the Bible but how to study the Bible. There is a great deal of difference between reading and studying. Reading is something we can do in a leisurely way, something that can be done strictly for entertainment in a casual manner. But study suggests labor, serious and diligent work. Here then is the real problem of our negligence. We fail in our duty to study God’s Word not so much because it is difficult to understand, not so much because it is dull and boring, but because it is work. Our problem is not a lack of intelligence or a lack of passion. Our problem is that we are lazy. Karl Barth (1886-1968), the famous Swiss theologian, once wrote that all human sin finds its roots in three basic human problems. He included pride (hubris), dishonesty and slothfulness in his list of rudimentary sins. None of these basic evils is instantly eradicated by spiritual regeneration. As Christians we must struggle against these problems through our entire pilgrimage. None of us is immune. If we are going to deal with the discipline of Bible study, we must recognize at the outset that we will need the grace of God to persevere. The problem of slothfulness has been with us since the curse of the Fall. Our labor is now mixed with sweat. Weeds are easier to grow than grass. Newspapers are easier to read than the Bible is to study. The curse of labor is not magically removed simply because our task is the study of Scripture. When I lecture to groups on the theme of studying the Bible, I often ask how many of the group members have been Christians for one year or more. Then I ask those people how many have read the entire Bible from cover to cover. In every instance, the overwhelming majority answer in the negative. I would venture to guess that among those who have been Christians for a year or more, at least 80 percent have never read the whole Bible. How is that possible? Only an appeal to the radical Fall of the human race could begin to answer that question. If you have read the whole Bible, you are in a small minority of Christian people. If you have studied the Bible, you are in an even smaller minority. Isn’t it amazing that almost everyone living in the West has an opinion to offer about the Bible, and yet so few have really studied it? Sometimes it seems as though the only people who take the time to study it are those with the sharpest axes to grind against it. Many people study it to find possible loopholes so they can get out from under the weight of its authority. Biblical ignorance is not limited to laypeople by any means. I have sat on church boards responsible for the examination of seminarians preparing for the pastoral ministry. The degree of biblical ignorance manifested by many of these students is appalling. Seminary curricula have not done much to alleviate the problem. Every year many churches ordain people who are virtually ignorant of the content of Scripture. I was shocked when I took a test in biblical knowledge for entrance to the theological seminary from which I graduated. After I completed my exam, I was deeply embarrassed, ashamed to hand in my paper. I had taken several courses in college that I thought would prepare me for such a test, but when the test came I was not ready. I left question after question blank and was certain that I had failed. When the grades were posted, I discovered that I had received one of the highest grades in a group of seventy-five students. Even with the grades scaled, there were several students who scored less than 10 out of a possible grade of 100. My score was poor, yet it was one of the best of the bad. Biblical illiteracy among the clergy has become so prevalent that I often find pastors getting annoyed and angry when their parishioners ask them to teach them the Bible. In many cases pastors live in mortal fear that their ignorance will be exposed by being thrust into a situation where they are expected to teach the Bible. The Bible itself has much to say about the importance of studying the Bible. We will examine two passages, one from each Testament, in order to catch a glimpse of these mandates. “These words, which I am commanding you today, shall be on your heart. You shall teach them diligently to your sons and shall talk of them when you sit in your house and when you walk by the way and when you lie down and when you rise up. You shall bind them as a sign upon your hand and they shall be as frontals on your forehead. You shall write them on the doorposts of your house and on your gates” (vv. 6-9). Here God sovereignly commands that his Word be taught so diligently that it penetrates the heart. The content of that Word is not to be mentioned casually and infrequently. Repeated discussion is the order of the day, every day. The call to bind on the hand, the forehead, the doorpost and gate makes it clear that God is saying that the job must be done by whatever method it takes. “You, however, continue in the things you have learned and become convinced of, knowing from whom you have learned them, and that from childhood you have known the sacred writings which are able to give you the wisdom that leads to salvation through faith which is in Christ Jesus. All Scripture is inspired by God and profitable for teaching, for reproof, for correction, for training in righteousness; so that the man of God may be adequate, equipped for every good work” (2 Tim 3:14-17). This exhortation is so basic to our understanding of the importance of Bible study that it warrants a careful scrutiny. “Continue in the things you have learned” (v. 14). This part of the admonition lays the accent on continuity. Our study of Scripture is not to be a once-for-all matter. There is no room for the proverbial once-over-lightly. Consistency is necessary for a sound basis of biblical studies. “Sacred writings which are able to give you the wisdom that leads to salvation” (v. 15). Paul refers to the Scripture’s ability to give wisdom. When the Bible speaks of wisdom, it refers to a special kind of wisdom. The term is not used to connote an ability to be “worldly wise” or to have the cleverness necessary to write a Poor Richard’s Almanack. In biblical terms, wisdom has to do with the practical matter of learning how to live a life that is pleasing to God. A cursory glance at the Wisdom Literature of the Old Testament makes this emphasis abundantly clear. Proverbs, for example, tells us that wisdom begins with the “fear of the LORD” (Prov 1:7; 9:10). That fear is not a servile fear but a posture of awe and reverence, which is necessary for authentic godliness. The Old Testament distinguishes between wisdom and knowledge. We are commanded to acquire knowledge, but more to acquire wisdom. Knowledge is necessary if wisdom is to be gained, but it is not identical with wisdom. A person can have knowledge without having wisdom, but he or she cannot have wisdom without having knowledge. A person without knowledge is ignorant. A person without wisdom is deemed a fool. In biblical terms foolishness is a moral matter and receives the judgment of God. Wisdom in the highest sense is being wise with respect to salvation. Thus wisdom is a theological matter. Paul is saying that through the Scriptures we can acquire that kind of wisdom that concerns our ultimate fulfillment and destiny as human beings. “Scripture is profitable for teaching” (v. 16). One of the most important priorities Paul mentions is the preeminent way in which the Bible profits us. The first and indeed foremost profit is the profit of teaching or instruction. We may pick up the Bible and be “inspired” or moved to tears or other poignant emotions. But our greatest profit is in being instructed. Again, our instruction is not in matters of how to build a house or how to multiply and divide or how to employ the science of differential equations; rather we are instructed in the things of God. This instruction is called “profitable” because God himself places an extremely high value on it. The instruction is assigned worth and significance. Countless times I have heard Christians say, “Why do I need to study doctrine or theology when all I need to know is Jesus?” My immediate reply is, “Who is Jesus?” As soon as we begin to answer this question, we are involved in doctrine and theology. No Christian can avoid theology. Every Christian is a theologian. Perhaps not a theologian in the technical or professional sense, but a theologian nevertheless. The issue for Christians is not whether we are going to be theologians but whether we are going to be good theologians. A good theologian is one who is instructed by God. “Scripture is profitable for reproof, correction, and training in righteousness” (v. 16). In these words Paul articulates the practical value of Bible study. As fallen creatures we sin, we err, and we are inherently out of shape with respect to righteousness. When we sin, we need to be reproved. When we err, we need to be corrected. When we are out of shape, we need to go into training. The Scriptures function as our chief reprover, our chief corrector and our chief trainer. The bookstores of this world are filled with books on training methods to acquire excellence in sports, to lose weight and get our physical figures into shape, and to acquire skills in all areas. Libraries have stacks of books written to teach us financial management and the nuances of wise investment policies. We can find many books that will teach us how to turn our losses into profits, our liabilities into assets. But where are the books that will train us in righteousness? The question still remains, “What will it profit a man if he gains the whole world and forfeits his soul?” (Mt 16:26). “That the man of God may be adequate, equipped for every good work” (v. 17). The Christian who is not diligently involved in a serious study of Scripture is simply inadequate as a disciple of Christ. To be an adequate Christian and competent in the things of God we must do more than attend “sharing sessions” and “bless me parties.” We cannot learn competency by osmosis. Biblically illiterate Christians are not only inadequate but unequipped. In fact, they are inadequate because they are not equipped. An NFL star may be able to run barefoot, but when playing a league opponent he will be sure to wear cleats. One of the most important advantages the Bible gives us is that it provides information that is not available anywhere else. Our universities provide us with a wealth of knowledge acquired by human investigation of the natural world. We learn by observation, analysis and abstract speculation. We compare and contrast varied opinions from notable scholars. But with all the skills of knowledge that we have at our disposal in this world, there is no one who can speak to us from a transcendent perspective, no one who can reason with us, as the philosophers say, sub species aeternitatis (from the eternal perspective). Only God can provide us with an eternal perspective and speak to us with absolute and final authority. The advantage of the equipment provided by Scripture is that knowledge is made available to us that can be learned from no other source. The Scripture does, of course, talk of matters that can be learned by other means. We are not utterly dependent on the New Testament to learn who Caesar Augustus was or how far it is from Jerusalem to Bethany. But the world’s best geographer cannot show us the way to God, and the world’s best psychiatrist cannot give us a final answer to the problem of our guilt. There are matters contained in Holy Writ that “unveil” for us that which is not exposed to the natural course of human investigation. Though much can be learned about God from a study of nature, it is his self-revelation in Scripture that is most complete and most valuable for us. There is an analogy between how we get to know people in this world and how we become acquainted with God. If we want to learn something about a human being, let’s say Bill Monroe, there are many ways we can go about it. We could do a search on the Internet, perhaps first Googling his name. If we had the right connections, we might ask the FBI or the CIA for their files on him. We could send for his high school and college transcripts. Through such records we might discover his basic biographical history, medical record, academic and athletic achievement records. We could then interview his friends to get a more personal evaluation. But all these methods are indirect, and many of Bill’s intangible qualities will remain obscured to our scrutiny. All these methods are but secondary sources of information. If we want more accurate knowledge of Bill Monroe, we should meet him personally, observe his outward appearance, see how he behaves, what mannerisms he employs. We may even be able to guess how he is feeling, what he is thinking, what he values and what displeases him. But if we want to gain intimate knowledge of him we have to engage in some kind of verbal communication with him. No one can express more clearly or more accurately what he believes, feels or thinks than Bill himself. Unless Bill chooses to reveal those things verbally, our knowledge will be limited to guesswork and speculation. Only words will enlighten us. Likewise, when we speak about the concept of revelation, we are talking about the basic principle of self-disclosure. The Scriptures come to us as divine self-disclosure. Here the mind of God is laid bare on many matters. With a knowledge of Scripture we do not have to rely on secondhand information or bare speculation to learn who God is and what he values. In the Bible he reveals himself. Like the Christian who shuns theology, there are those who despise any kind of quest for theoretical knowledge of God, insisting instead on being “practical.” The spirit of America has been defined as the spirit of pragmatism. This spirit is manifested nowhere more clearly than in the arena of politics and in the public school system, which has been informed by the principles and methods of education set down by John Dewey. Pragmatism may be defined simply as the approach to reality that defines truth as “that which works.” The pragmatist is concerned about results, and the results determine the truth. The problem with this kind of thinking, if left uninformed by the eternal perspective, is that the results tend to be judged in terms of short-range goals. I experienced this dilemma when my daughter enrolled in kindergarten. She attended a very progressive public school outside of Boston. After a few weeks we received notification from the school that the principal was holding an open meeting for parents in order to explain the program and procedures employed in the kindergarten. At the meeting the principal carefully explained the daily schedule. He said, “Don’t be alarmed if your child comes home and tells you that he was playing with puzzles or modeling clay in school. I can assure you that everything in the daily routine is done with a purpose. From 9:00 to 9:17 a.m. the children play with puzzles that are carefully designed by orthopedic experts to develop the motor muscles of the last three fingers of the left hand.” He went on to explain how every minute of the child’s day was planned with skilled precision to insure that everything was done with a purpose. I was duly impressed. The man turned white and then scarlet, and in stumbling terms he replied, “I don’t know; no one ever asked me that question.” I appreciated the candor of his reply and the genuine humility it displayed, yet at the same time, his answer terrified me. In Your Mind Matters John Stott writes: The modern world breeds pragmatists, whose first question about any idea is not “Is it true?” but “Does it work?” Young people tend to be activists, dedicated supporters of a cause, though without always inquiring too closely whether their cause is a good end to pursue or whether their action is the best means by which to pursue it. How can we have purposes without purpose? Where can we go to discover the ultimate test for our pragmatism? Here is where transcendent revelation is most critical to our lives. Here is where the content of Scripture is most relevant for our practice. God alone can give us the final evaluation of wisdom and value of our practices. Because the theories found in Scripture proceed from God, the Bible is eminently practical. Nothing could be more practical than God’s Word because it proceeds from a theory that is established from the eternal perspective. The fatal weakness of pragmatism is overcome by revelation. The last quarter of the twentieth century witnessed the public embrace of the “sensuous.” The Sensuous Woman, The Sensuous Man, The Sensuous Couple and The Sensuous Divorcee became bestsellers, and some remain in print decades later! One dictionary defines sensuous as, “pertaining to the senses or sensible objects: highly susceptible to influence through the senses.” In other words, sensuous people live by their feelings rather than through their understanding. Today on television we can see this sensuality prominently displayed. Famous TV talk-show hosts often encourage their guests to “vent,” exposing their private feelings and emotions to millions of viewers. Sadly, this kind of sensuality has also wormed its way into the church. Many of us have become sensuous Christians, living by our feelings rather than through our understanding of the Word of God. Sensuous Christians cannot be moved to service, prayer or study unless they “feel like it.” Their Christian life is only as effective as the intensity of present feelings. When they experience spiritual euphoria, they are a whirlwind of godly activity; when they are depressed, they are a spiritual incompetent. They constantly seek new and fresh spiritual experiences, and use them to determine the Word of God. Their “inner feelings” become the ultimate test of truth. Sensuous Christians don’t need to study the Word of God because they already know the will of God by their feelings. They don’t want to know God; they want to experience him. Sensuous Christians equate “childlike faith” with ignorance. They think that when the Bible calls us to childlike faith, it means a faith without content, a faith without understanding. They don’t know the Bible says, “In evil be infants, but in your thinking be mature” (1 Cor. 14:20). They don’t realize that Paul tells us again and again, “My beloved brethren, I would not have you ignorant” (Romans 11:25). Sensuous Christians go their merry way until they encounter the pain of life that is not so merry—and they fold. They usually end up embracing a kind of “relational theology” (a curse on modern Christianity) where personal relationships and experience take precedence over the Word of God. If the Scripture calls us to action that may jeopardize a personal relationship, then the Scripture must be compromised. The highest law of sensuous Christians is that bad feelings must be avoided at all cost. To be sure, there are historical reasons for this kind of reaction. Many laypeople have felt the result of what one theologian has called “the treason of the intellectual.” So much skepticism, cynicism and negative criticism have spewed forth from the intellectual world of theologians that laypeople have lost their trust in intellectual enterprises. In many cases there is the fear that faith will not hold up under intellectual scrutiny, so the defense becomes the denigration of the human mind. We turn to feelings rather than to our minds to establish and preserve our faith. This is a very serious problem we face in the twenty-first-century church. Christianity is supremely intellectual though not intellectualistic. That is, Scripture is addressed to the intellect without at the same time embracing a spirit of intellectualism. The Christian life is not to be a life of bare conjecture or cold rationalism but one of vibrant passion. Strong feelings of joy, love and exaltation are called for again and again. But those passionate feelings are a response to what we understand with our minds to be true. When we red in Scripture, “Take courage; I have overcome the world” (Jn. 16:33), “ho hum” is not an appropriate response. We can be of good cheer because we understand that Christ has indeed overcome the world. That thrills our souls and sets our feet to dancing. What is more precious than to experience the sweetness of the presence of Christ or the nearness of the Holy Spirit? God forbid that we should lose our passion or go through the Christian pilgrimage without any experience of Christ. But what happens when there is a conflict between what God says and what I feel? We must do what God says, like it or not. That is what Christianity is all about. Reflect for a moment. What happens in your own life when you act according to what you feel like doing rather than what you know and understand God says you should do? Here we encounter the ruthless reality of the difference between happiness and pleasure. How easy it is to confuse the two! The pursuit of happiness is regarded as our “unalienable right.” But happiness and pleasure are not the same thing. Both of them feel good, but only one endures. Sin can bring pleasure, but never happiness. If sin were not so pleasurable, it would hardly represent a temptation. Yet, while sin often “feels good,” it does not produce happiness. If we do not know the difference or, worse yet, do not care about the difference, we have made great strides to becoming the ultimate sensuous Christian. What would have to be true for Satan’s argument to be true? It would seem that God would have to be one of three things: ignorant, malevolent or deceptive. It could be that God’s Word will not work for us because it proceeds from his divine blunderings. God simply doesn’t know enough to tell us what we need to do to achieve happiness. Perhaps he desires our well-being, but simply does not know enough to instruct us properly. He would like to help us out, but the complexities of human life and human situations just boggle his mind. Perhaps God is infinitely wise and knows what is good for us better than we do. Perhaps he does understand human complexities better than the philosophers, moralists, politicians, school teachers, pastors and psychiatrists, but he hates us. He knows the truth but leads us astray so he can remain the only happy being in the cosmos. Perhaps his law is an expression of his desire to take gleeful delight in our misery. Thus his malevolence toward us leads to the role of great Deceiver. Nonsense! If that were true, then the only conclusion we could come to is that God is the devil and devil is God, and Holy Scripture is really the manual of Satan. If there is a secret, a carefully guarded secret, to human happiness, it is that one expressed in a seventeenth-century catechism that says, “Man’s chief end is to glorify God and to enjoy Him forever.” The secret to happiness is found in obedience to God. How can we be happy if we are not obedient? How can we be obedient if we do not know what it is we are to obey? Thus the top and the tail of it is that happiness cannot be fully discovered as long as we remain ignorant of God’s Word. To be sure, knowledge of God’s Word does not guarantee that we will do what it says, but at least we will know what we are supposed to be doing in our quest for human fulfillment. The issue of faith is not so much whether we believe in God, but whether we believe the God we believe in. Why should we study the Bible? I have mentioned briefly the practical value, the ethical importance and the way of happiness. We have looked at some of the myths that are given why people do not study the Bible. We have examined something of the spirit of pragmatism and the anti-intellectual climate of our day. There are many facets to the question and countless reasons why we ought to study the Bible. I could plead with you to study the Bible for personal edification; I could try the art of persuasion to stimulate your quest for happiness. I could say that the study of the Bible would probably be the most fulfilling and rewarding educational experience of your life. I could cite numerous reasons why you would benefit from a serious study of Scripture. But ultimately the main reason why we should study the Bible is because it is our duty. If the Bible were the most boring book in the world—dull, uninteresting and seemingly irrelevant—it would still be our duty to study it. If its literary style were awkward and confusing, the duty would remain. We live as human beings under an obligation by divine mandate to study diligently God’s Word. He is our Sovereign, it is his Word, and He commands that we study it. A duty is not an option. If you have not yet begun to respond to that duty, then you need to ask God to forgive you and to resolve to do your duty from this day forth. About the Author: Dr. R.C. 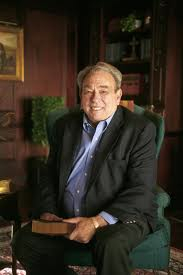 Sproul (Founder of Ligonier Ministries; Seminary Professor; and Teaching Pastor at Saint Andrews in Sanford, Florida) is an amazingly gifted communicator. Whether he is teaching, preaching, or writing – he has the ability to make the complex easy to understand. He has been used more than any other person in my life to deepen my walk with Christ and help me to be more God-centered than man-centered. His book the Holiness of God has been the most influential book in my life – outside of the Bible. The article above is adapted from Chapter One in another one of his excellent books: Knowing Scripture. Downers Grove: IVP, 2009. Knowing Scripture is an excellent introductory book on how to read, study, and interpret the Bible. Tags: 2 Timothy 3:14-17 exposition by R.C. 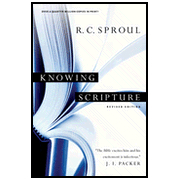 Sproul, Bible Study, Biblical inspiration, Deuteronomy 6:4-9, perspicuity of Scripture, R.C. Sproul on Bible Study, Several Compelling reasons For Studying the Bible, THE BIBLE AS REVELATION, THE BIBLICAL BASIS FOR BIBLE STUDY, THE CLARITY OF SCRIPTURE, The sensuous Christian, Why is the Bible so primitive?, Why Study the Bible?